Fight Rent "Unit Decontrol" in New Jersey. Vacancy decontrol is a method for landlords to undermine and eventually eliminate local rent control. It means an unlimited rent increase when an apartment becomes vacant. Under vacancy decontrol, landlords get tremendous monetary benefits from turnover of tenants and they do whatever it takes to convince tenants to move out, including harassment and lowered maintenance. Over time, vacancy decontrol means the end of rent control and the elimination of affordable housing. We must fight to stop unit decontrol. On the State level, Michael Patrick Carroll (R-25) had introduced a bill in the New Jersey General Assembly which would establish and enforce permanent vacancy decontrol in every local rent control law in the state. So far, the NJTO has been successful in stopping it from becoming law. Make sure your representatives know you want to maintain Rent Control. Tenants, please call, fax, email or write the members of the New Jersey General Assembly and Senate about the issues listed on this site. You can find your representive by clicking on the OK button below right. IT WILL TAKE YOU OUT OF THE NJTO SITE TO TO THE NJ LEGISLATURE SITE. If you have any problems using this site, contact the webmaster by clicking here. Be sure to put NJTOWEBMASTER in the subject line. If you are interested in being on our Legislative Emailing List, email NJTO by clicking here: info@njto.org PLEASE PUT: "LEGISLATIVE EMAIL LIST" in the SUBJECT LINE. We will occasionally contact you for assistance in email campaigns. Atlantic Highlands, Linden, Weehawken, Jersey City, Bayonne, Caldwell, Orange and East Orange, Fort Lee, Passaic, Elmwood Park, Ridgefield, Elizabeth, Perth Amboy, Fairlawn, Redfield, Bloomfield, Clifton, Delran, Paterson, Hackensack, Newark, Phillipsburg, Plainfield and North Plainfield, Passaic, Trenton, Wallington, Voorhees and other cities and towns throughout the state. We came together as tenants in 1969, and have been fighting and winning pro-tenant legislation ever since. 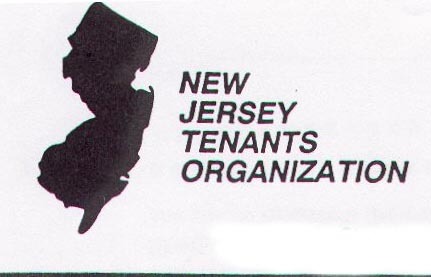 Since 1969, the NJTO has worked for the enactment of 18 major landlord-tenant laws, which give New Jersey tenants the strongest legal protection in the country. Your current rights as a tenant are because of our work on your behalf all these years. We also help organize local tenant associations and give individual guidance to members. --Stop Evictions from Foreclosures on Landlords! 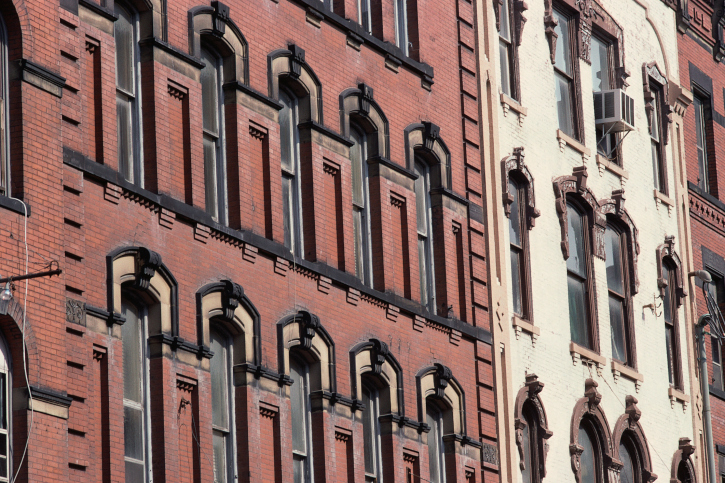 --Save Neglected Buildings with a real RECEIVERSHIP law that works! Automatic establishment of Receivership as a result of cyclic or complaint inspections with bad enough results that are not abated within time limits. When a building is in really bad shape, and code violations and fines don't convince the landlord to fix the place up, a very effective tool is a receivership. A court can appoint a receiver to collect the rents and spend this money on fixing up the building instead of lining the landlord's pockets. To get a court to do this, either the tenants or the municipality must file a lawsuit, Unfortunately, the tenants usually cannot afford the legal costs and municipalities usually don't want to get involved. If the situation is bad enough and the tenants request it, the municipality should be required to seek a receivership in court. Something needs to be done to stop the cycle of disinvestment, abandonment, and demolition that plagues much of the rental housing in New Jersey. Tenants Property Tax Rebate Act - Restore it from its destroyed state. In 1998 the Tenants Property Tax Rebate Act was effectively destroyed by severe amendments which left it on the books in name only while making sure that practically no one would ever get another rebate. The law used to require that any reduction in property taxes be passed on to the tenants in the form of rebates. This is only fair, since the tenants pay all the taxes (as well as all other expenes ) through the rents. The landlord is merely a conduit for the tax payment. We need to repeal the destructive amendments and put back the original language. This would not only restore this important monetary benefit, but show tenants the RESPECT we deserve as property taxpayers. Tenant Rebates for Municipal Solid Waste Collection Reimbursements. Last year, a law was passed requiring municipalities to either pick up solid waste from tenant buildings or reimburse the landlords for the cost of the pickup, if the town performed this same service for homeowners. The law was passed because of a court decision, which said that tenants in these towns were being denied equal protection of the law by being denied this service when homeowners got it. The purpose of the law was to implement the court decision, but to lessen the financial impact in the towns by phasing it in over a 5 year period. After all, it is the tenant residents, not the landlord owner, who were denied the equal protection provided to homeowner residents. Anyway, at the last minute, those in power in the legislature last year made a back room deal with the landlords, and eliminasted the tenant rebate, subverting the court decision, and effectively allowing landlords to steal the tenants rightful reimbursements. This bill would restore the tenant rebates as they were in the original bill. This bill has been introduced as A-166(Rose Heck).. It is in the Assembly Housing and Local Government Committee. This bill would provide low interest loans or loan guarantees or grants to small landlords (and homeowners) to do expensive lead abatement work necessary for tenant safety. It does not pass the cost of lead abatement on to the tenants (who did not cause the problem, but who suffer the consequences). This was introduced as S-1348 (Rice, Bucco) and A-1947 (Weinberg, Thompson) S-1348 was released from the Senate Community and Urban Affairs Committee, A- 1947 is in the Assimbly Housing and Local Government Committee. NJTO fought for the passage of S-2018 giving tenants equal right to have your attorny paid for by your landlord if you win your court case against the landlord. This right is often written into the lease for landlords, now tenants have it too. NJTO endorses candidates for the New Jersey Assembly. We do this becase we believe they will best serve tenants' interests. When NJTO gives an endorsement, that means this candidate has promised to defend tenants' rights on some issue. We ask that you support the candidate with your vote. It is extremely important that NJTO candidates win their elections. The New Jersey legislatures have been so anti-tenant that we have spent much of our time defending rights we already had. We fought hard and won the Security Deposit Bill which was passed. We also won Anit-Discrimination protection for all tenants, This means that no matter where your income is from--paychecks, unemployment checks, welfare or pension distributions--you have a right to an apartment. We face tough struggles for tenants' rights. When it comes to pro-tenant bills, most votes are very close. Legislators are much more likely to respond if they know tenant voters have actually voted for them. We need to elect all of our endorsed candidates to be able to pass more pro-tenant laws. Individual dues are $25.00 per year per apartment. Click on the Main Page button above and use your credit or debit card. Or you can send a check to our mailing address listed above. NJTO is also reaching out to others. 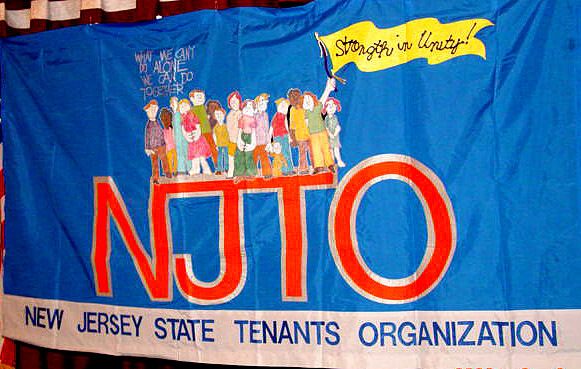 Click here to see NJTO's response to privatization of government agencies and responsibilities. Organizations are asked to consider joining the coalition. It takes money to run an organizaton to defend tenants' rights--be sure to join and donate what you can!